Food Show with PREP & Gordon Food Service working together to bring this wonderful event to Atlanta! Mitch Long and Julie D’Amico set up a food truck park outside of the Cobb Galleria with Island Chef Cafe, Espetada and Tasting Maine giving out free samples! 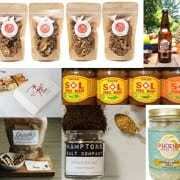 There were phenomenal food displays at the Gordon Food Show, located at hundreds of stations. Everything from Apples to Zucchini! There were training sessions, chef demonstrations and tons of resources at the Gordon Food Show. 2 Fat 2 Fly Stuffed Wing Food Truck Debut on Oprah! 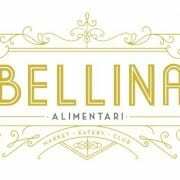 Bellina Alimentari Opens in Ponce City Market after product testing & training at PREP! Gloriosa Designs Catering @ PREP!